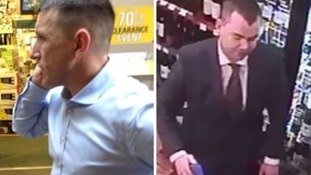 Police have released images of two men they want to speak to after a string of wine bar wallet thefts. A 23-year-old man who died after being repeatedly stabbed has been described as kind and helpful person by his former partner. A young man is in a critical condition in hospital after being stabbed repeatedly in the City in the early hours of the morning. The number of new jobs created in the City of London increased by a third last month to more than 4,000. New figures said the jobs boost followed strong financial results in the first quarter of the year by major US and European investment banks. More than three thousand new jobs were created in the City of London this month. That's 25% more than in March last year according to new figures. According to the recruitment firm Astbury Marsden the rise was down to investment banks increasing their numbers of technology staff and an increase in mergers and acquisitions. A passerby has risked his life to tackle a man wielding a machete after a smash-and-grab robbery on a luxury City jewellers. Staff in the banking and finance sector said they expect their annual reward to rise by an average of 21%. 'Don't give me any of your old flannel, alright? This is dangerous riding. ", said a very unimpressed police officer.